In a society that sees exclusion as power, the more people you exclude the more powerful you feel. Our laws and even the shastras say that it is the father’s blood and not the mother’s that determines the children’s caste. But social practice says otherwise. 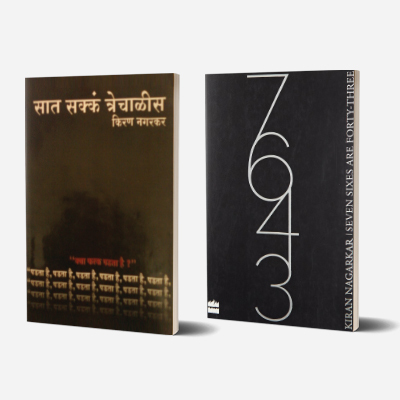 This classic Marathi novel was devised to demonstrate this fact. The good-looking, educated Shanta, daughter of Manjula, a Pune Brahmin’s low-caste mistress, is advised by her well-wishers to convert to Christianity if she wishes to marry; for she will forever be stigmatised in Hindu society. A young progressive Brahmin lawyer of Pune decides such extreme measures are not necessary. He will marry Shanta and make her ‘respectable’. With this, Kalindi commits social hara-kiri. She leaves her parents’ home to live as the mistress of Shivsharanappa, a Lingayat tobacco merchant. Fortunately for her, the author was an optimistic believer in the possibility of social reform. 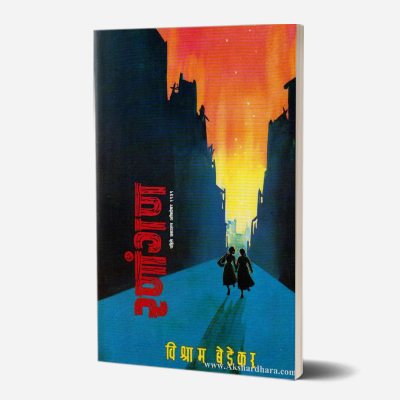 The novel ends with Kalindi marrying a dynamic trade union leader of Bombay. Shridhar Venkatesh Ketkar was a sociologist, historian and novelist, hailing from Maharashtra, India. He is principally known as the Chief Editor of the first ever encyclopedia in Marathi, namely, Maharashtriya Jnanakosha. Born in Raipur, Madhya Pradesh, Ketkar studied at the Wilson College, Bombay before he left for the United States in 1906, and obtained a Ph.D. from Cornell University in 1911. After a yearlong sojourn in London (circa 1912) where he met his future wife Edith Kohn, he returned to India. Ketkar wrote quite a few novels in Marathi, including the Gondavanatila Priyamvada Ani Gharkutte Gharanyacha Itihas (1926), Ashavadi, athava Eka Pravahapatiteche Charitra (1927), Gaavasasu (1930), Brahmanakanya (1930), Bhatakya (1937) and Vichakshana (1937). Broadly, Ketkar’s work could be called as ‘novels of ideas’, as they contained information about various tribes and societies, coupled with several strikingly blunt ideas about sociological reform. 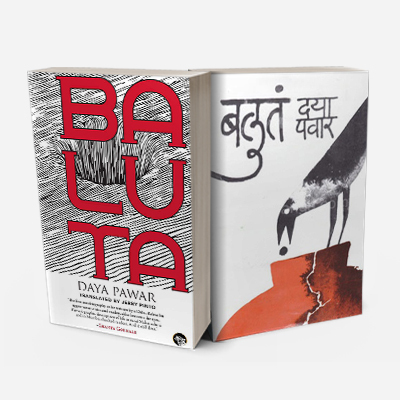 Based on the Mahabharatha character Yayati, this Marathi novel is a story of insatiable lust. It is the story of a noble ruler who was even respected by The King of Gods, Indra. Married to the cunning and beautiful Devyani but in love with her maid Sharmishtha, Yayati goes on a quest for carnal pleasure, even exchanging his old age for his son’s youth. An exploration of human tendencies and the intersection between individual and social existences, Yayati presents to us a universal tale on the consequences of acting upon certain tendencies. The novel is probably best summarised by its concluding lines: “Oh man, desire is never satisfied by indulgence. 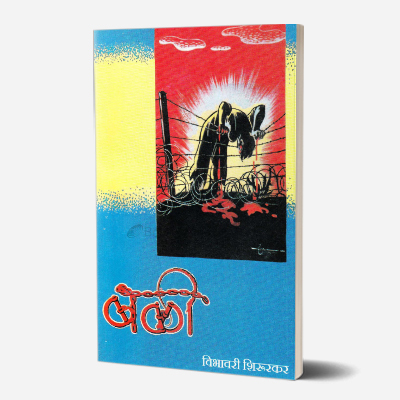 Like the sacrificial fire, it ever grows with every offering.” VS Khandekar was awarded the prestigious Jnanpith and Sahitya Akademi awards for this novel. Vishnu Sakharam Khandekar (1898-1976) is one of the greatest Marathi authors. He worked as a teacher and wrote with the aim of bringing happiness to his readers and reducing inequality amongst people. A former President of the Marathi Sahitya Sammelan, he was a Fellow of Sahitya Akademi. In 1968, he was awarded the Padma Bhushan for his contribution to literature. 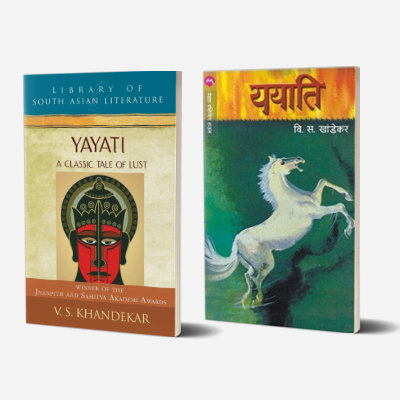 Khandekar is best known for his magnum opus Yayati.